Quarterback Ben Roethlisberger has been placed in the concussion protocol, Pittsburgh Steelers head coach Mike Tomlin has announced. Roethlisberger, who is heading into his 15th season in the NFL, took a hard hit in Tuesday's practice. He went down after throwing a pass during a drill and was evaluated by trainers before heading to the locker room. 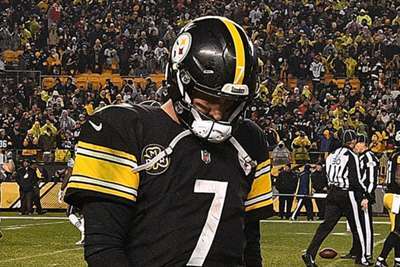 Roethlisberger and backup quarterback Landry Jones had already been ruled out of the team's second pre-season game before Tuesday's practice. The Steelers will visit the Green Bay Packers on Thursday.